Below describes some damages that cause the hash boards to be scrapped because they can no longer be repaired. 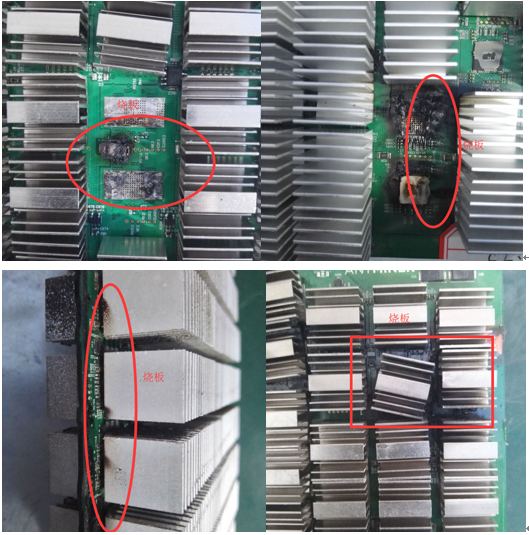 These types of damages are not covered by the warranty as described in our Antminers Service Terms and Conditions page and the warranty will be voided. 1. The hash board is burnt because of overclocking or any other reasons. 2. 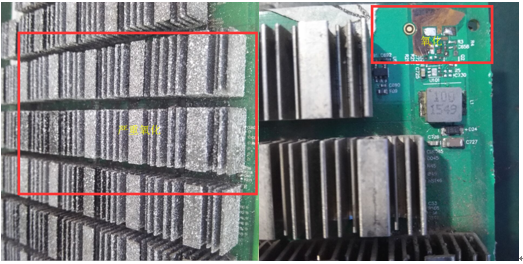 The hash board is corroded or oxidized because of high humidity or any other reasons. 3. The PIN (tiny silver white cables, marked by the red box) has fallen off because of either improper packing or corrosion. PIN is lost as seen in the red circle, compared with the good PIN in the blue-green circle. 4. PCB is broken as a result of any other damages caused by the user. 5. 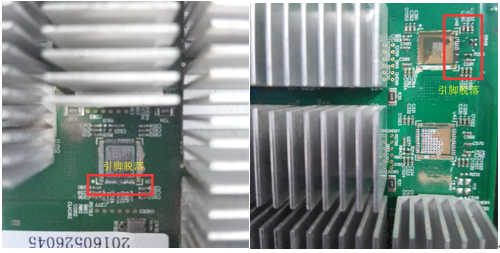 The hash board has been immersed in oil or liquid, excluding Antminer S9-Hydro. 2. Return a similar scrapped hash board at your cost. 3. Quote a replacement hash board. The quotation will be based on the retail price of the Antminers. If you are unable to assess the conditions of your hash boards, contact us for further assistance. Hi, please, can you check again if the hashboard that you are reporting it's mine? the date of your report is earlier than the arrival of my hashboard.